The EPA uses standardized testing methods for all vehicle manufacturers in each vehicle classification (Car, Truck, Crossover, SUV, etc.). According to the U.S. Department of Energy (DOE) website, fueleconomy.com, EPA ratings are useful tools for comparing the fuel economics of different vehicles but may not accurately predict the average MPG drivers will get. EPA fuel ratings are estimates typically based on engine drive type (FWD, RWD, AWD, etc.) and transmission combinations. Fuel Economy is best measured after 3,000 to 5,000 miles according to the DOE. Aggressive driving wastes fuel. The DOE reports that aggressive driving can lower gas millage by a whopping 33 percent at highway speeds and 5 percent in the city. Keep your cool and aim for smooth acceleration and braking. 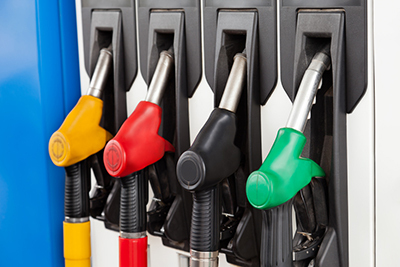 Consider this: at speeds over 50 mph, your vehicle uses more fuel than it does at 40 mph. That’s pretty simple to understand. But did you know that going form 55 to 65 increase fuel consumption 10-15 percent and increasing your speed form 50 mph to 75 mph increases consumption 25 percent. So, be sure to obey all posted speed limits and keep your speed in check. 1. It controls your maximum speed. 2. It helps maintain constant speed, so you won’t be pumping extra fuel into your engine. Be weather wise. The DOE advises that winter fuel contains about 1.7 percent less energy that summer fuel, so if you live where it gets cold in the winter, the fuel blend you’re using can affect fuel economy. Of course, cars were invented to move us around, but keep in mind if you are carrying five 250 pound football players at all times, that expends more fuel than Grandma and her poodle. Do you need to lug all that cargo? The DOE also estimates that an extra 100 pounds of cargo in your vehicle could reduce your MPG by up to 2 percent. Don’t carry unnecessary weight. Minimize the use of heated seats, A/C defroster and other power-drawing accessories when not required. The DOE also advise that idling can burn a quarter to a half gallon of fuel per hour, depending on the engine size and if the A/C is on. Check your fuel filler door or your owner’s manual and always use the recommended fuel type. Millage may be degraded by as much as 2 percent by not using the manufacturer’s recommended grade of motor oil. Villa Ford’s service technician can help you select the right grade to maximize fuel economy. Replacing fuel filters and air filters when recommended can help optimize fuel economy. Properly inflated tires can help improve fuel economy. Upgrading to larger or rugged wheels and tires can increase weight and rolling resistance, affecting fuel economy. The heavier the load, the more fuel will be expended. For trucks, capability is significantly influenced by the rear axel ratio. Even with identical engines, the rear axel ratio can affect payload and towing by thousands of pounds. keep in mind that as axel ratios go up, capability increase but real-world fuel economy tends to decrease. Surfboards, Kayaks and even bikes add weight and create wind resistance, impacting fuel economy. The height (wind resistance) and weight of a trailer impact fuel economy. Hilly or mountainous areas or unpaved roads can reduce fuel economy. Interested in learning more about fuel economy? Visit fueleconomy.gov.